German star winemaker Clemens Busch, Weingut Clemens Busch, was in town (Washington DC), and Annette Schiller and I had the pleasure to have a private dinner with him - just the 3 of us - at Ripple, where we could talk about “all things wine” and more. Annette has a special interest in Weingut Clemens Busch as it is one of the wineries that she visits on her German Wine and Culture Tour by ombiasy PR and WineTours. The tasting with Clemens Busch’s wife Rita was one of the highlights of the 2013 tour. 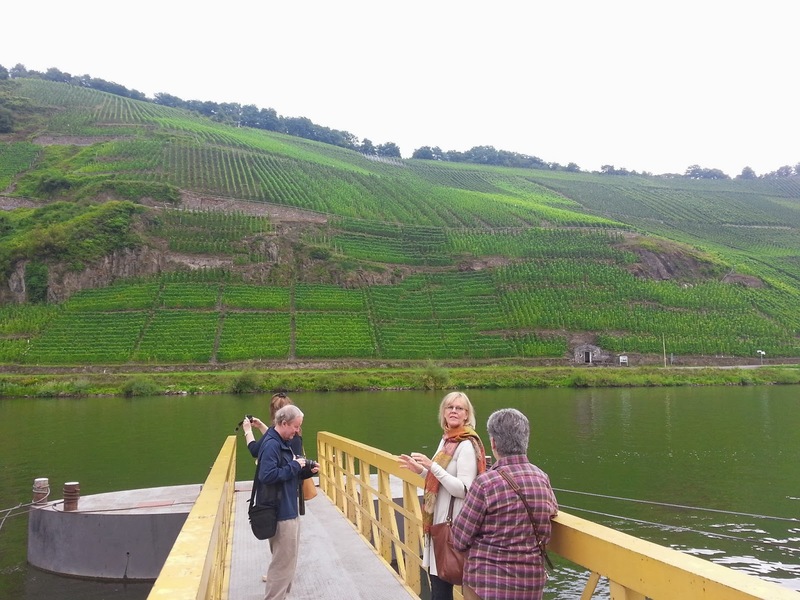 In 2014, the tour will again include a stop in Puenderich in the Mosel Valley at Weingut Clemens Busch. Clemens had flown over from Germany to New York City for the second edition of the “Rieslingfeier” and had decided to come down to the Washington DC area to “work the market”. One of those wine store where Clemens presented his wines was The Vineyard in McLean, just a few blocks away from where I live. Clemens Busch and Louis Cinelli, General Manager of The Vineyard, were so kind to let me join their tasting. Weingut Clemens Busch is one of the top producers in Germany. And not only that. In a region where the humidity and extremely steep vineyards make most wine makers to rely on some level of pesticide, Clemens Busch is 100% organic/biodynamic. And: In a region where noticeable residual sugar in the finished wine and low alcohol is the standard, Clemens Busch’s focus is on dry premium Rieslings that can compete with the best dry whites in the world. But Clemens Busch also produces some off-dry wines as well as powerfully complex, nobly sweet wines. Weingut Clemens Busch is in Pünderich in the Mosel Valley, rather far down stream. The Busch family lives near the banks of the Mosel in a restored half- timbered house built in 1663. Because flooding can occur here, the vaulted cellar, built in the 1970s, lies nearby, on higher ground, at Clemens’s parents’ home. The business has been run by Rita and Clemens Busch since 1986, with son Florian joining the team in 2008. Clemens is the fifth generation winemaker at this estate. The winery is since 2007 member of the VDP (Association of German VDP), the 200 or so German elite winemakers. Weingut Clemens Busch is considered by many to be the master interpreter of the natural winemaking approach in Germany. Clemens Busch began using organic practices in 1984 and more recently moved towards biodynamic. Winemaking is practiced in accordance with the guidelines of the ECOVIN association. But Clemens Busch also produces off-dry wines as well as powerfully complex, nobly sweet wines. 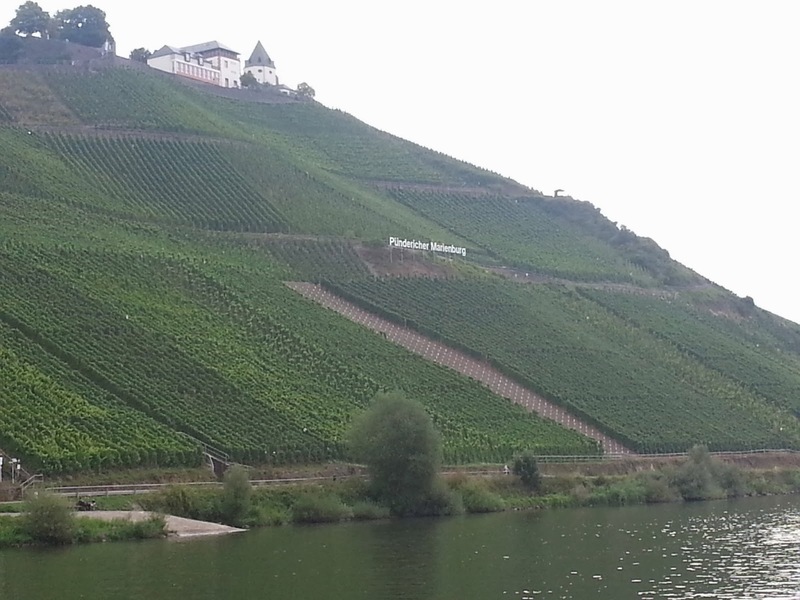 Most of the area under vines is situated in the Pündericher Marienburg vineyard which covers almost the entire hillside on the opposite side of the river from the village of Pünderich. Until the wine law of 1971, the Pündericher Marienburg consisted of several small plots and not without good reason, because the wines grown in the different parts of today’s Marienburg vineyard are still very different. It is not only the different slate soils but also the special microclimates that play an important role here. To emphasize the specific differences that exist within the Pündericher Marienburg, the corresponding wines of Clemens Busch still bear the names of the old plots: Fahrlay and Fahrlay-Terrassen, Falkenlay and Raffes, as well as Rothenpfad and Felsterrasse. 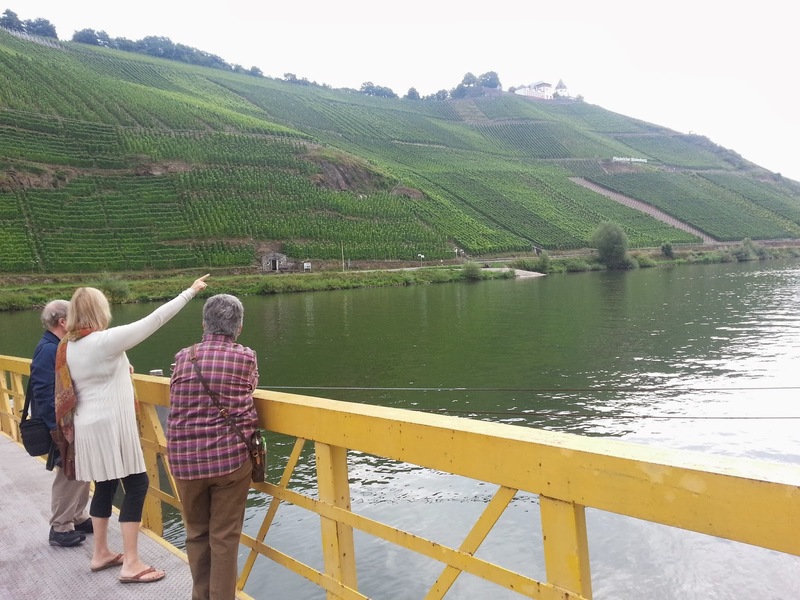 Fahrlay and Fahrlay-Terrassen, directly across the river from the Busch’s house, consist mainly of blue slate, producing a Riesling with a particularly intensive mineral flavor and slightly salty notes in the finish. Falkenlay, including the old-vine section called Raffes, is made up of grey slate, producing particularly creamy, fruit-driven Rieslings. In the cellar, it is obvious that Clemens Busch does without high technology. After crushing, the grapes undergo skin contact and ferment spontaneously in both stainless steel and in oak Fuder (wooden casks of 1000 liters). The fermentation continues for a very long period of time (8-9 months, sometimes even 12). In addition to lees contact, Clemens Busch likes to do lees stirring to increase the wines’ fruitiness and richness. There are no additions to the wine (sugar for chaptalisation, acidity, etc) except for a very small amount of sulfur before bottling. As an exception, special yeast is used for noble-sweet wines where the sugar levels are sometimes so high that wild yeasts would not even begin to work. 4 of the 5 wines that Clemens Busch presented were Grosse Lage wines and 3 of the 4 Grosse Lage were Grosses Gewaechs wines. These are new terms in the German wine vocabulary: A Grosses Gewaechs is a dry wine from a Grosse Lage vineyard. The news is only slowly arriving and being absorbed in the USA, but Germany’s elite winemakers - the VDP winemakers - have introduced a new wine classification system. In the new VDP classification system, the top wines are wines from a Grosse Lage vineyard (like a grand cru vineyard in Bourgogne). And if the wine is dry, it is a Grosses Gewaechs. If the wine is fermented in a fruity-sweet or noble-sweet style, it is labeled as Kabinett, Spaetlese or Auslese and Beerenauslese or Trockenbeerenausles, according to the sweetness level of the wine. Importantly, in the new VDP classification, the predicates have been relegated to indicators of sweetness (and are no longer indicators of quality). An Ortswein in the new VDP classification system – village level. Clemens Busch has wines at the Gutswein level, the entry-level wines, in his portfolio, but did not present these wines this time. These are the kind of wines I like very much for every day consumption. Tasting notes: Light lemon yellow in the glass, fresh and crisp, good structure, medium finish. Clemens Busch: Only healthy grapes are used, 2011 was a good vintage, from 30 years old vines. I tasted the 2011 Clemens Busch Grosses Gewaechs wines for the first time at the August 2012 Pre-release tasting organized by the VDP for about 200 press and trade people in Wiesbaden, Germany. 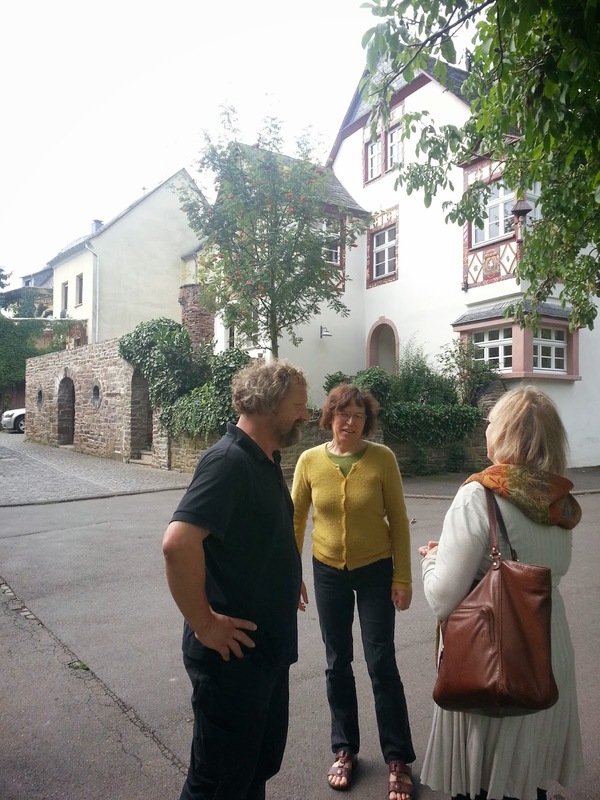 Here are my comments on the Mosel Grosses Gewaechs wines: …. although I know that my fellow colleagues at the German Wine Society Board (Washington DC Chapter) all love the fruity sweet wines of Ernst Loosen, Dr. Loosen put on a strong performance with his ultra premium Grosses Gewaechs wines from Himmelreich, Wuerzgarten, Praelat, Sonnenuhr and Treppchen. I would also like to mention the impressive Marienburg collection of Clemens Busch, the non-conventional winemaker from Puenderich. From different parcels of Marienberg vineyard, 30-35 yr old vines, ~8g/l RS. Tasting notes: Light lemon yellow in the glass, notes of peach, light almond on the nose, white jasmine and mineral palate, good finish, impressive wine. “Red Path" Rothenpfad is a parcel of rare red slate, 80-85 yr old ungrafted vines, ~6g/l RS. From the grey slate section of the Marienburg vineyard. 70-75 yr old ungrafted vines, ~8g/l RS. Clemens Busch: Same wine as the previous, from the same vineyard, but the wine is a tiny bit sweet; this brought him over the dryness limit for the Grosses Gewaechs and thus the wine could not be declared a “Grosses Gewaechs”; it would have fallen into this category if the fermentation had gone a bit further and eaten up more sugar. 15g/l RS. Tasting notes: Light medium yellow in the glass, notes of ripe peach and sweet apricot on the nose, mineral, ripe grapefruit palate, long finish, excellent wine. The Weingut Clemens Busch wines are widely available in the US. Louis/Dressner is the main American importer. In California, Dee Vine Wines (Fine German Wines) is the exclusive importer of Weingut Clemens Busch wines. I also found the Weingut Clemens Busch wines on the website of David Bowler Wine in New York.